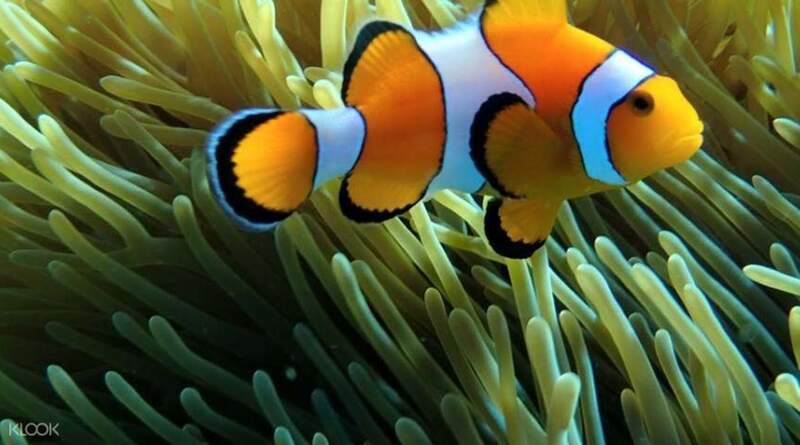 Snorkel over brilliant corals and lush aquatic life, such as sea turtles and clown fish! Overall the tour was very well organized. Love Andaman is a great tour provider. The itinerary itself is fun and a good mix of beaches and snorkeling. Snorkeling was very nice! What I didn't like was being stuck on a boat with 60 other passengers. The group size was clearly too big. The Similan Islands are way too overcrowded for my taste. I can't really recommend going there. 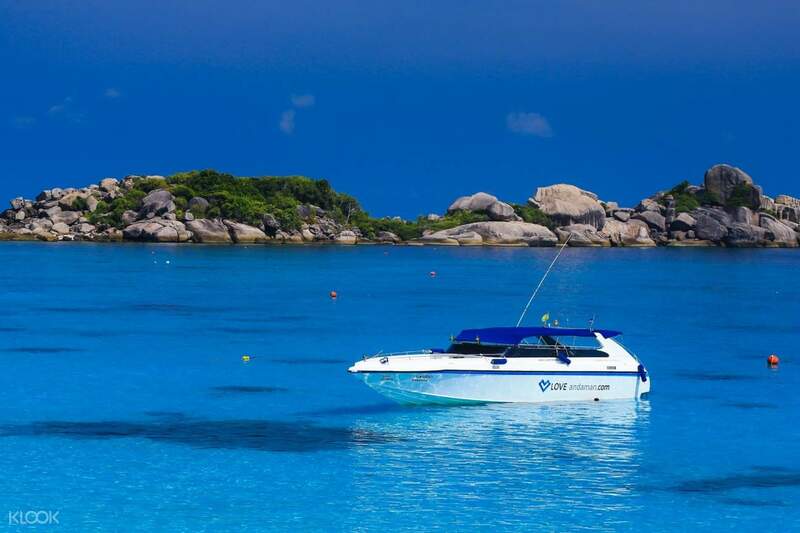 The exploration of Similan Islands begins with a pick up from your hotel in Phuket to take you to Boat Ramp pier. You'll enjoy a light breakfast with coffee or tea as you get briefed on your destinations. Onboard a luxurious fiberglass speedboat from Love Andaman, you'll be whisked off to the Siliman Islands starting with a stop at Donald Duck Bay and a climb up the Sail Rock. 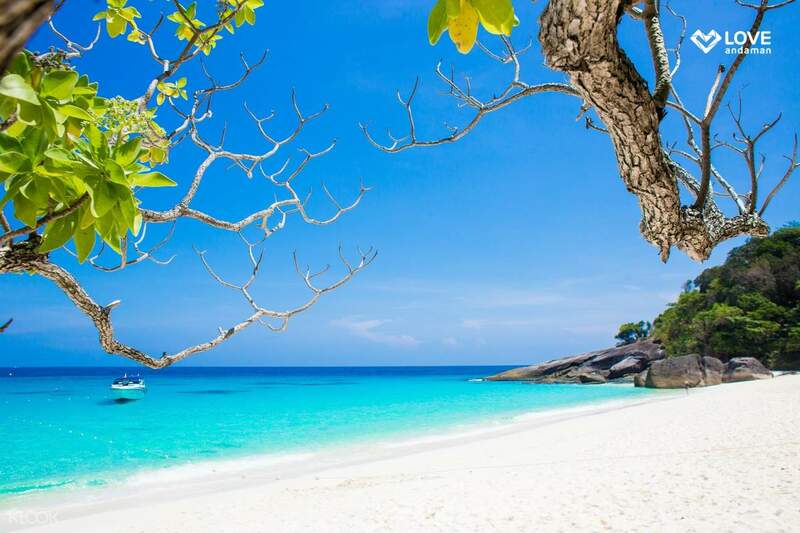 Love Andaman is one of Phuket's best reviewed and more luxury tour operators, known for the quality of their tours and the care taken of their customers. Swim in the crystal clear waters and rest in a beautiful white sand beach before heading off to Ba Ngu Island and Coral Bay for snorkeling. As one of the most famous snorkeling locations in Phuket, you'll be able to spot sea turtles and clownfish in the reef. Take a break and get your Thai buffet lunch (with vegetarian options) before heading off to a beautiful snorkeling spot near Payu Island. After playing in the water, you'll get to relax and sunbathe on Honeymoon Bay. A return boat trip will take you back to Tablamu pier, ready for your swift return hotel drop off. Dive into clear waters and see clownfish and baby turtles! nice trip, nice service n nice food. suitable for couples n youngs.. but not really for kids as the journey to go n back from islands take too much time. we stay at patong area,take 4hrs by car n 2hr by speed boat for round trip. nice trip, nice service n nice food. suitable for couples n youngs.. but not really for kids as the journey to go n back from islands take too much time. we stay at patong area,take 4hrs by car n 2hr by speed boat for round trip. Overall the tour was very well organized. Love Andaman is a great tour provider. The itinerary itself is fun and a good mix of beaches and snorkeling. Snorkeling was very nice! What I didn't like was being stuck on a boat with 60 other passengers. The group size was clearly too big. The Similan Islands are way too overcrowded for my taste. I can't really recommend going there. Overall the tour was very well organized. Love Andaman is a great tour provider. The itinerary itself is fun and a good mix of beaches and snorkeling. Snorkeling was very nice! What I didn't like was being stuck on a boat with 60 other passengers. The group size was clearly too big. The Similan Islands are way too overcrowded for my taste. I can't really recommend going there. the island is absolutely stunning, clear turquoise water like you’re in swimming pool! The lunch provided on island is however very disappointed, but it can’t blame the travel agent it’s the standard meal provided to everyone. The travel agent provided many snacks and fruits after you snorkel so that you won’t feel too hungry. They also provided fried noodles and fried rice after you arrive the pier. All in all, recommend! the island is absolutely stunning, clear turquoise water like you’re in swimming pool! The lunch provided on island is however very disappointed, but it can’t blame the travel agent it’s the standard meal provided to everyone. The travel agent provided many snacks and fruits after you snorkel so that you won’t feel too hungry. They also provided fried noodles and fried rice after you arrive the pier. All in all, recommend! We stayed in Phuket hotel, pick up time is 6am. Motion sickness pill is available at the pier. Advisable to wear beach socks for Sail Rock climbing if you are afraid or not comfortable to climb rough rocks barefoot. Love Andaman is selling beach socks at the pier at 150 bht. Non swimmers can also enjoy snorkelling. They pull a float and you just hang on to it and let them bring you around. They pull about 3 to 4 persons with 1 float. Lunch is ok. It is not buffet style as per package details, but in individual pre-packed tray. The tour is not cheap, but it is worth it considering the service quality. The crew is very friendly. We stayed in Phuket hotel, pick up time is 6am. Motion sickness pill is available at the pier. Advisable to wear beach socks for Sail Rock climbing if you are afraid or not comfortable to climb rough rocks barefoot. Love Andaman is selling beach socks at the pier at 150 bht. Non swimmers can also enjoy snorkelling. They pull a float and you just hang on to it and let them bring you around. They pull about 3 to 4 persons with 1 float. Lunch is ok. It is not buffet style as per package details, but in individual pre-packed tray. The tour is not cheap, but it is worth it considering the service quality. The crew is very friendly. Similar islands are nice places to visit with blue and crystal like water. Speedboat is comfortable but doesn’t help to get rid of seasickness if you have that issue. The guide is nice and proactive in taking family photo for us. Breakfast and afternoon tea are better than expected. Neatly displayed and quality is okay. Lunch box is okay but can always be better and more variety of drinks (not just coke and water). Overall experience is great and I would recommend this trip to friend. Similar islands are nice places to visit with blue and crystal like water. Speedboat is comfortable but doesn’t help to get rid of seasickness if you have that issue. The guide is nice and proactive in taking family photo for us. Breakfast and afternoon tea are better than expected. Neatly displayed and quality is okay. Lunch box is okay but can always be better and more variety of drinks (not just coke and water). Overall experience is great and I would recommend this trip to friend. The day trip itself is nice, beautiful sceneries, good for snorkelling, the service crew of Love Andaman is great as well. But we had a bad experience with the pick-up arrangement for this tour. We received the confirmation vouchers from both Klook and its local partner (or agent) after purchased the package, but neither vouchers mentioned the estimate pick-up time at the hotel. After emailed Klook’s partner and yet not receiving any responses after 2 days, I contacted Klook through the live chat on the night before the tour and we were informed that the pick-up time at the hotel for the trip we booked is around 7.00am-7.30am. And guess what? The next day, we received a call from the hotel’s reception around 6.15am, the driver is waiting for us in the lobby… Finally, we hopped onto the shuttle around 6.30am, and we were the first group in the shuttle... My apologies to those who share the shuttle with us for the unintentional delay. The day trip itself is nice, beautiful sceneries, good for snorkelling, the service crew of Love Andaman is great as well. But we had a bad experience with the pick-up arrangement for this tour. We received the confirmation vouchers from both Klook and its local partner (or agent) after purchased the package, but neither vouchers mentioned the estimate pick-up time at the hotel. After emailed Klook’s partner and yet not receiving any responses after 2 days, I contacted Klook through the live chat on the night before the tour and we were informed that the pick-up time at the hotel for the trip we booked is around 7.00am-7.30am. And guess what? The next day, we received a call from the hotel’s reception around 6.15am, the driver is waiting for us in the lobby… Finally, we hopped onto the shuttle around 6.30am, and we were the first group in the shuttle... My apologies to those who share the shuttle with us for the unintentional delay. 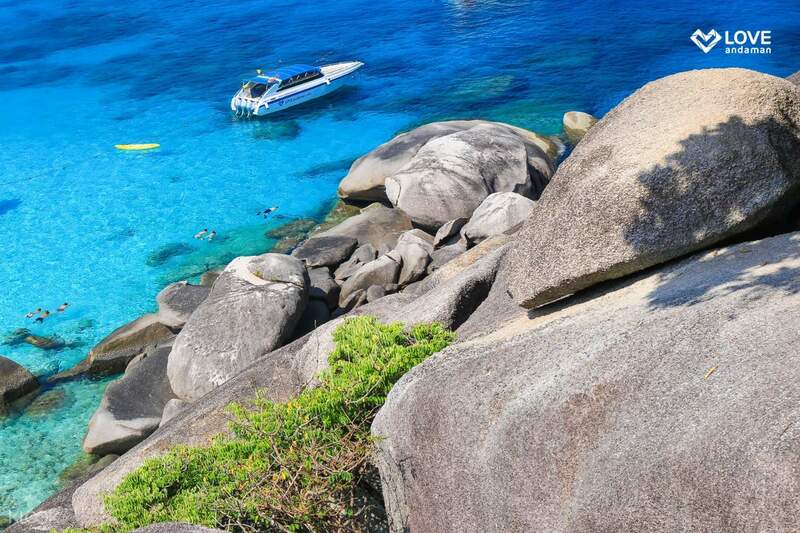 The tour to the Similan Islands exceeded expectations. The crew was awesome, the views were breath taking, and the boat ride was smooth. 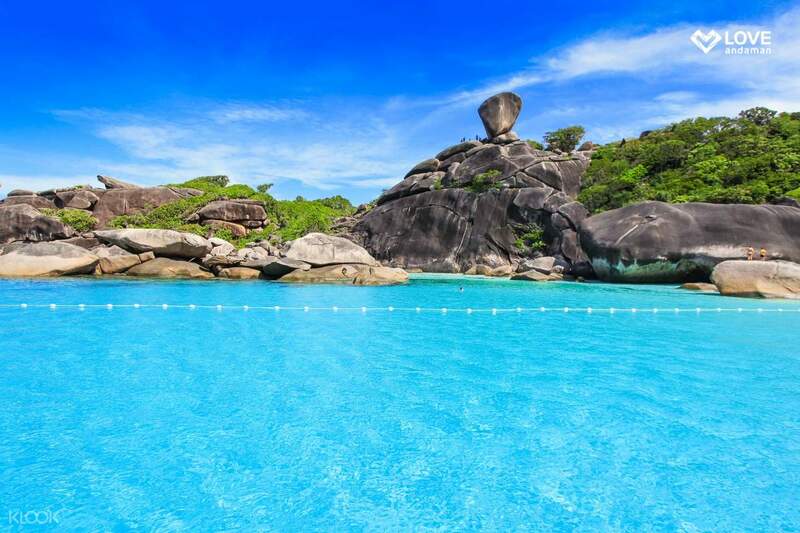 The tour to the Similan Islands exceeded expectations. The crew was awesome, the views were breath taking, and the boat ride was smooth. It’s the second time to this island Still very beautiful beach but too much Chinese tourists. A little bit too crows. It’s the second time to this island Still very beautiful beach but too much Chinese tourists. A little bit too crows. The tour guide was very friendly and the islands are beautiful and so unlike other islands I've visited in Thai (the coral sand and clear ocean remind me of Aruba). But the marina and boat were crowded (which is to be expected at this price) which only got worse once you reached the islands (guide suggested Surin to avoid the tourists). The tour guide was very friendly and the islands are beautiful and so unlike other islands I've visited in Thai (the coral sand and clear ocean remind me of Aruba). But the marina and boat were crowded (which is to be expected at this price) which only got worse once you reached the islands (guide suggested Surin to avoid the tourists).